When we say French cabaret first what we think is Moulen Rouge, but it is not real picture for the cabaret from its beginning. 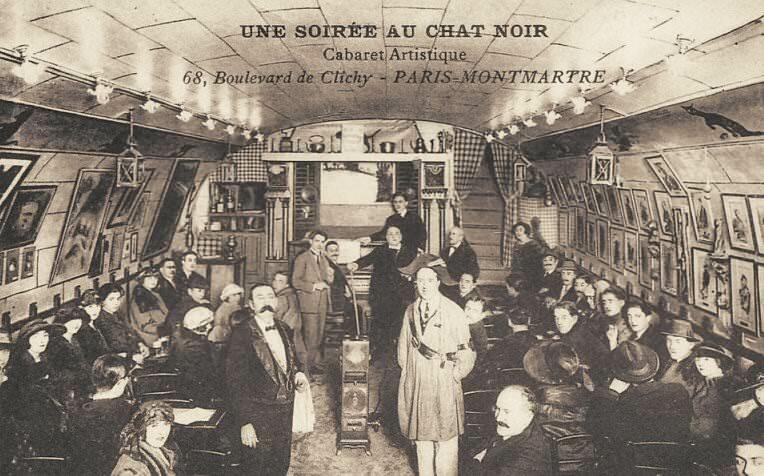 Originally, the French word “cabaret” meant any establishment that served alcoholic beverages and it is directly connected with popular art form that began in 1881 with the opening of Le Chat Noir in the Monmartre. The original idea was to be a kind of place, salon, where some of the Parisian artists and intellectuals like Maupassant, Debussy and others, would gather to make long night discussions and to share their ideas and compositions. 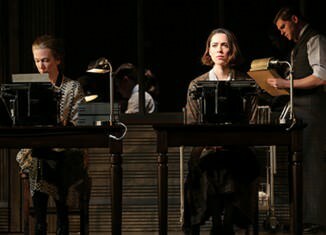 Artists would get an opportunity to test new material and, for the price of a few drinks, audience members would get to experience a stimulating evening of theatre. The atmosphere was close, intimate and friendly, and the cabaret was place for gatherings of the people with similar artistic interests. By its very nature, cabaret was a very personal experience between audience and performer. The close proximity of the performer to the audience allowed for a deeper and more intense relationship. The performer could closely see and hear the audience while the audience could see every movement, and face expressions of the performer. The immediacy of the event thus required the cabaret performer to be spontaneous, honest, and, above all, versatile. It couldn’t be confused with lounge singers, musical theatre, or any type of background music. But everything has been changed, by 1900, when numerous cabarets had opened in France and Germany, and were very different and far from the initial idea and free form artist’s haven of Le Chat Noir. Cabaret became a style of performance characterized by an intimate nightclub from a variety of entertainers. 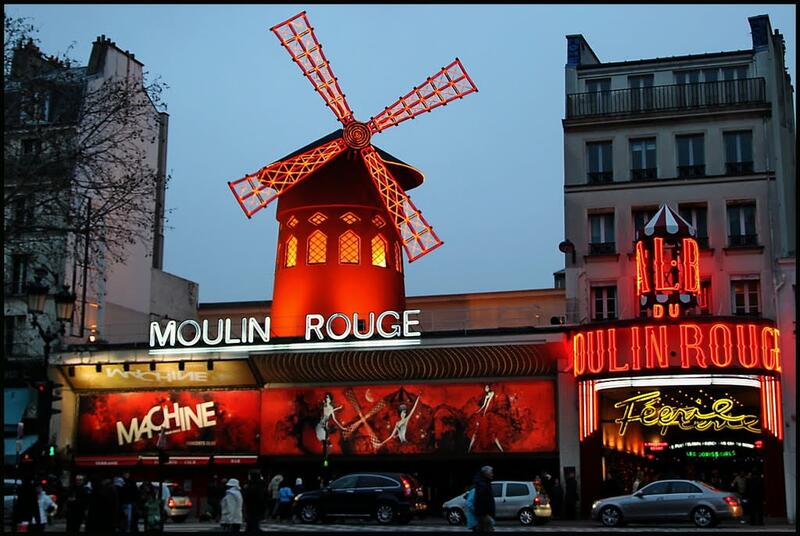 The Moulin Rouge, was built in 1889 in the red-light district of Pigalle, near Montmartre, is famous for the large red imitation windmill on its roof. Here many famous artists began their careers like La Goulue, Édith Piaf and Toulouse-Lautrec. The Folies Bergère continued to attract a large number of people, because they feel comfortable and did not have to take off their hats, they could talk, eat, and smoke. At the Folies Bergère, as in many cafés-concerts, there were a variety of acts: singers, dancers, jugglers and clowns. Le Lido, on the Champs-Élysées has been a venue of the finest shows with the most famous names since 1946 including Édith Piaf, Laurel & Hardy, Shirley MacLaine, Marlene Dietrich, Maurice Chevalier, and Noël Coward among them. 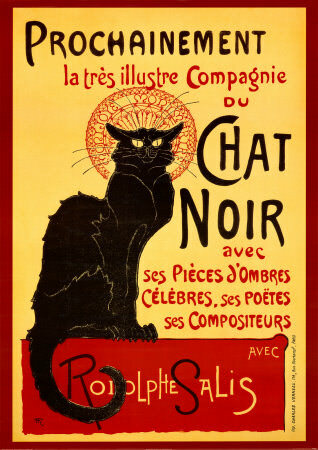 The original Le Chat Noir was alive until 1897. The cabaret wasn’t able to outlast, however. When its owner died, the artists left, and the cabaret was closed. A new incarnation of the Chat Noir exists was at the 68 boulevard de Clichy. It is opened again in the beginning of the 20th century as modern cabaret. Today it is known, in various forms, in various parts of the world. It may be form of entertainment featuring music, song, dance, recitation, or burlesque entertainers or drama. Or as performance venue (also called a cabaret), such as in a restaurant, pub or nightclub with a stage for performances. Performances are usually introduced by a master of ceremonies. The entertainment is often oriented towards adult audiences. The audience usually sits at tables often dining or drinking.